Social Security is one of the most successful government programs in our nation’s history. It has lifted millions of Americans out of poverty, lets our citizens retire with dignity, and gives security to retirees, the disabled, and veterans, as well as their families. However, benefits have not kept up with the rising cost of food, housing and health care — and with corporate pensions falling, seniors rely on the program more than ever. The Progressive Change Campaign Committee has worked to change the conversation around Social Security. If you’re a student in America, you should have the opportunity to attend a public college or university and graduate without debt. In the last 30 years, the cost of college has risen an astonishing 250%, leaving Americans with more than $1.3 trillion in student loan debt and putting the American Dream out of reach for many graduates. Just as the GI Bill had a 7-to-1 return on investment for America’s economy, federal investment to states and students in order to achieve debt-free college will be a similar investment in our economic future. The Progressive Change Campaign Committee has worked tirelessly to make debt-free college a reality. Wall Street corruption and irresponsibility led to the greatest economic collapse in almost a century – costing millions of Americans their jobs, homes, and retirement security. Now more than ever, our nation needs reforms to prevent that from ever happening again – and real accountability for those who commit financial crimes. We’ve partnered with Senator Elizabeth Warren and others to push for a new Glass-Steagall Act, and we’ve pushed Democrats to adopt the position that Wall Street bankers who break the law should go to jail. Our polling from 2014 shows that over 80% of Americans – even in so-called red states like Kentucky and Texas – agree that Wall Street bankers should face criminal prosecution if they broke the law. The public health insurance option would create a government-run health insurance program to compete with private insurers, adding important choice and competition to the marketplace, and helping to keep costs low. 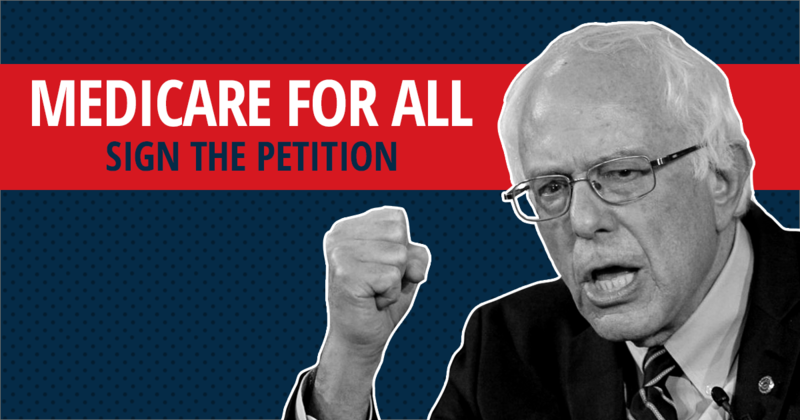 Even though the public option was ultimately removed from the Affordable Care Act, the fight continues. Net neutrality — the concept of a free, open, and accessible Internet where content isn’t controlled through “fast” and “slow” lanes — is a critical issue that impacts commerce, education, and the spread of information. The Progressive Change Campaign Committee has been part of the fight to protect net neutrality for many years. Along with many progressive allies, members of Congress, innovators, and celebrities, we kept the pressure on the FCC for years to protect net neutrality. We won a big victory in 2015 when the FCC voted to protect net neutrality — rules that were later upheld by the courts and celebrated by the Obama administration.